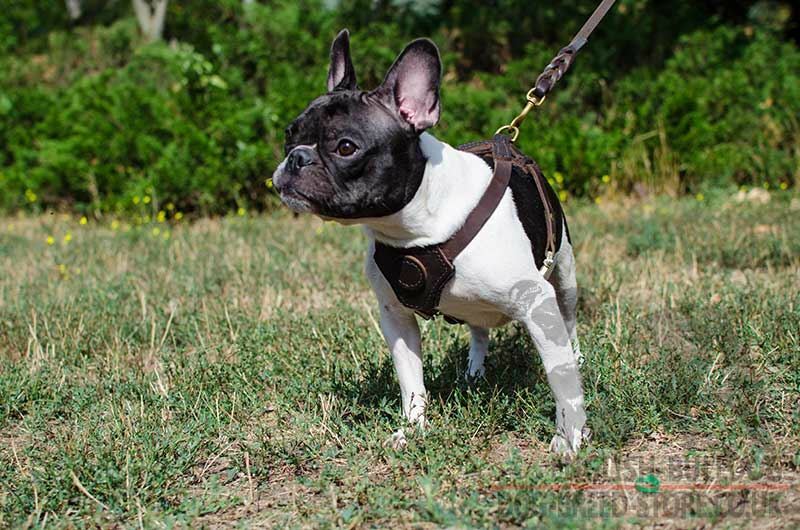 Small leather dog harness will make your French Bulldog walking more comfortable and easier! 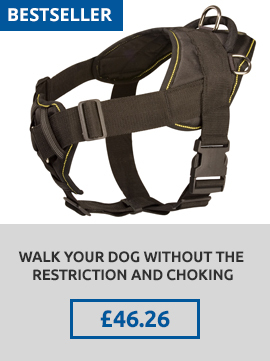 This small dog harness protects the neck of your little pet from traumas of dog pulling on the leash. The French Bulldog harness is an absolute safety and convenience for the dog! 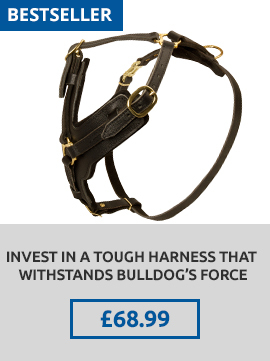 The small dog harness UK is extra durable and very soft at the same time, it`s handmade of quality natural leather, reliably stitched and padded with soft felt on the chest plate. Solid brass hardware makes the French Bulldog leather harness look luxury. 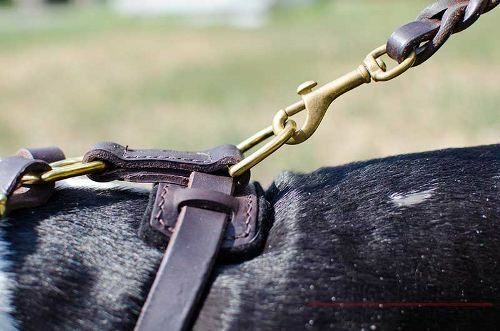 Quick-release buckle will help you to put on/ take off the small harness in one click! 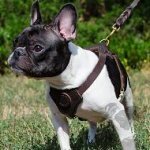 Easy adjustable, light-weighted and stylish dog harness for your Frenchie! 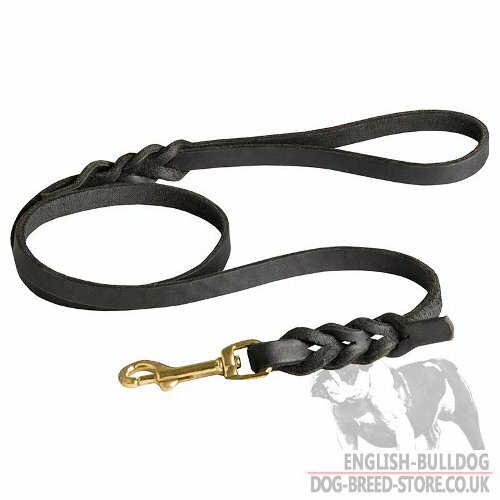 This leash is a perfect match for French Bulldog leather harness. 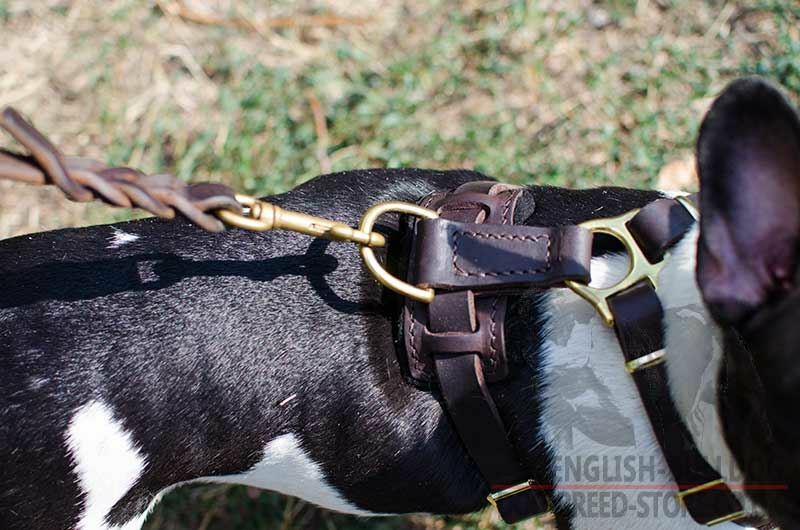 Learn more about our black leather braided dog leash. Snap hook of the lead is of brass. 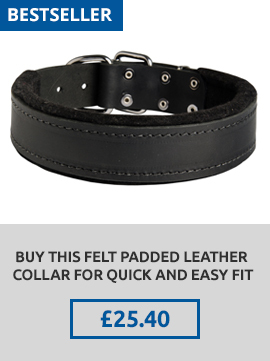 If you wish the leash with silver-like snap hook, please, choose it at the top of the page in attributes. 1. 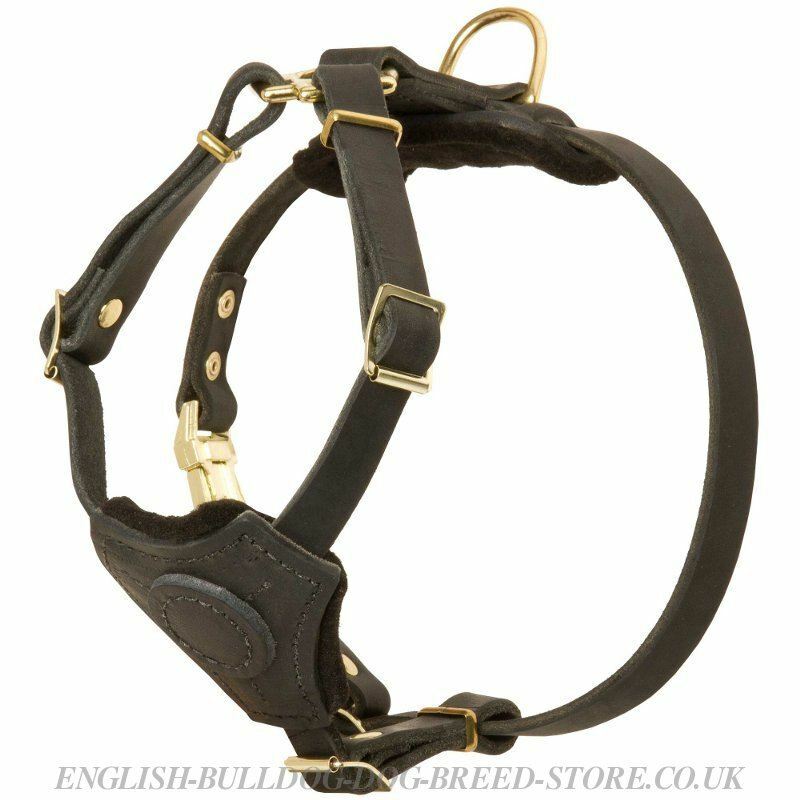 Dear Guy, the Harness arrived this morning and its absolutely brilliant, the leather is so soft but still very strong, Alfie looked the part in it! Thank you very much! 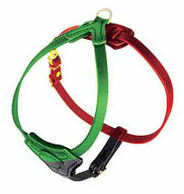 See our collection of dog products for French Bulldog walking and training. The harness arrived today thank you. Overall we are very happy with it. The quality is outstanding and Gus looks amazing in his new harness, thank you so much. Dear Helen Steel, the parcel was delivered in time yesterday and we had been amazed at once with its content. It’s been a long time when we saw top-class materials use for the leash and harness – strong and durable leather, truly reliable metal details of brass, and qualitative rivets of steel alloy, buckles, rungs, snap hook and their perfect processing. It is 100% value for money. We will stay your clients. We will send you photos of our French Bulldog with products soon!